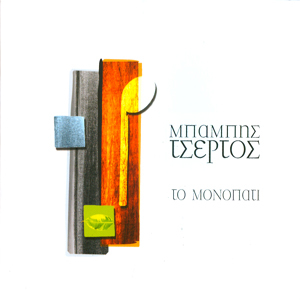 After four years, Babis Tsertos the famous "rembetiko" singer with the distinctive voice, collaborates with PROTASIS for his new CD “To monopati”. It’s about a collection of well known rembetika and "Laika" (popular) songs, orchestrated and performed uniquely. “Prigipessa”, “To monopati”, “Malista kirie” and many other unforgettable songs from great composers like Mitsakis, Theodorakis, Malamas with the characteristic approach of Babis Tsertos will excite and seduce you!